You guys! I have exciting news-my husband is getting promoted this week! This is huge for our family and I’ve been so excited making preparations for the traditional post-promotion reception we’ll be hosting. I spent the weekend making trial runs of recipes I plan to make (you know I had to do homemade rather than catered!) 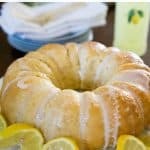 This Limoncello Cake recipe was one of the desserts I was contemplating and I think you’re going to love it. It’s light, sweet, and very easy to make. Preheat oven to 350 degrees. Generously spray a bundt pan with nonstick spray. In a large bowl mix yogurt, eggs, oil, lemon zest and juice, sugar, and 4 tablespoons of limoncello. Whisk until smooth. Add flour and baking soda and stir until just blended-do not over mix. Pour into prepared pan and bake for 35 minutes. Allow to cool for 10 minutes before inverting onto cake plate. Use a fork to pierce cake. Mix powdered sugar and remaining limoncello to create a glaze. Spoon glaze over cake and serve. 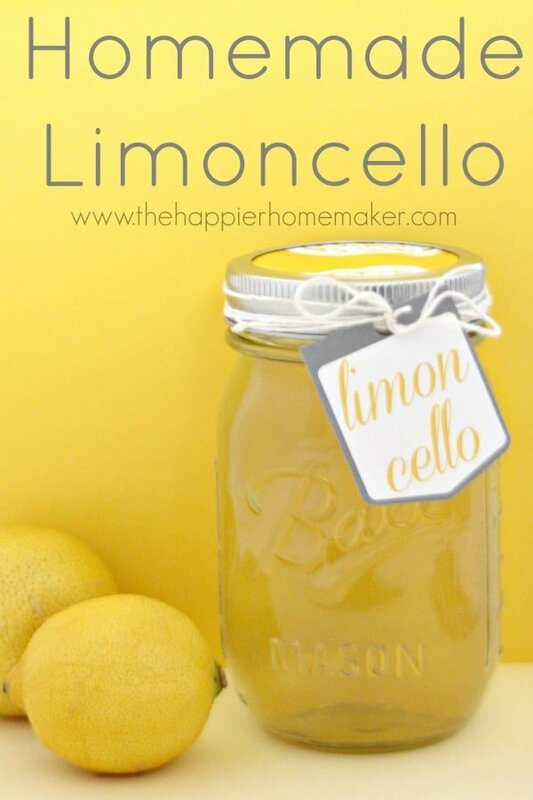 If you like Limoncello as much as I do be sure to check out my version of Homemade Limoncello too-it makes a great homemade gift! This is a light fluffy cake with a hint of Limoncello flavor perfect for special occasions! Generously spray a bundt pan with nonstick spray. In a large bowl mix yogurt, eggs, oil, lemon zest and juice, sugar, and 4 tablespoons of limoncello. Add flour and baking soda and stir until just blended-do not over mix. Pour into prepared pan and bake for 35 minutes. Allow to cool for 10 minutes before inverting onto cake plate. Use a fork to pierce cake. 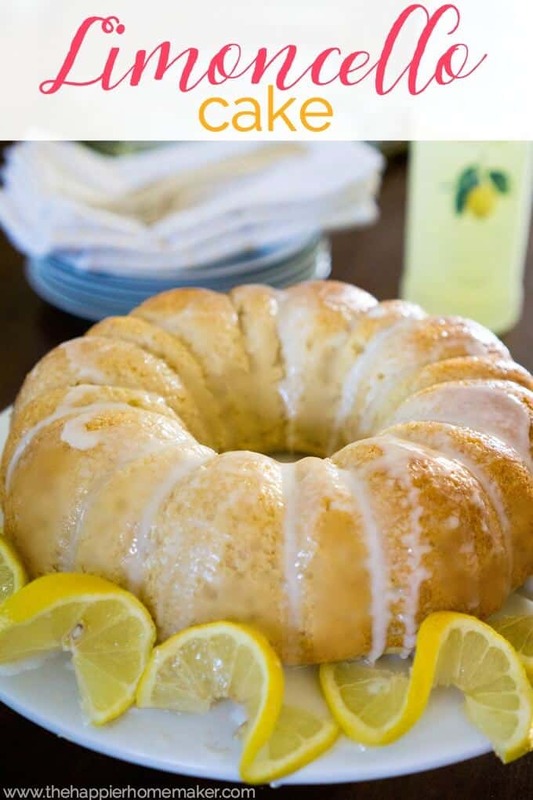 Mix powdered sugar and remaining limoncello to create a glaze. Spoon glaze over cake and serve. I have some bottles of lemoncello that I brought back from Greece 5 years ago. Do you think it’s still good? I don’t know Linda-part of me wants to say yes since alcohol by it’s nature seems to last forever but I guess it would depend on if it was opened and refrigerated at all?? Sorry not to be more of a help! Hi Melissa! I see your recipe calls for 4T Limoncello, but in the directions it seems like we would need more? How much do we need to create the glaze? Can’t wait to make this for our Sunday dinner! Thank you! I haven’t seen any comments from someone who actually tried this recipe but I did, today. It was definitely NOT done in 25 minutes. My toothpick was still battery! 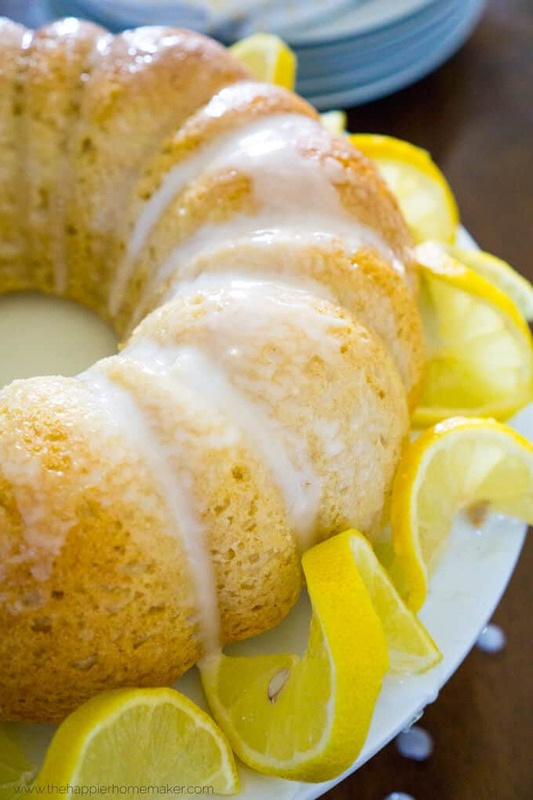 I googled other limoncello bundt cake recipes and found they all needed 50 minutes and that’s what this one took. Be sure to check yours when you remove it.. Haven’t tasted it yet but it looks and smells delicious! Thanks for letting me know Chris, we’re military and move a lot and this was a few houses ago but I added it to my to-do list to trial this again so I can update if needed. It may have been a case of an off oven temp. Thank you for your family’s service! The cake was a big hit. I would recommend using only 3 Tbsp of limoncello in the icing as it was more of a glaze with 4 Tbsp. I used homemade limoncello so that may have made a difference, too. Highly recommend this yummy cake. It was the perfect ending to our Easter meal!